What does China’s “new era” mean for the world? 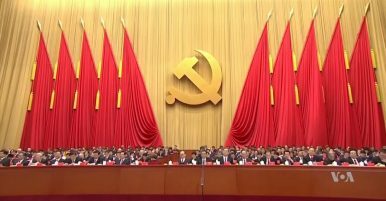 The 19th National Congress of the Chinese Communist Party (CCP) is attracting attention from around the world. According to Chinese media, among a total number of 3,068 registered reporters, 1,818 (almost 60 percent) are from overseas media outlets. During the conference, much attention has been paid not only to what China has achieved in the past five years, but particularly to the picture being painted of the future. Looking back at China’s grand emergence since the late 1970s, the continuity of national development strategies and policies, architected by a strong and effective leadership, obviously played an indispensably important role. Massive and continuing investments have been poured into crucial fields like infrastructure, education, and medical care, which will continue to facilitate the Chinese as a nation to realize their dream of rejuvenation. Today, China is the second largest world economy, and it is also at the forefront of many modern lifestyle innovations, like bicycle sharing, mobile payments, and high-speed rail. China is also an increasingly important player in world political and economic affairs. These are just a few highlights in what I call China’s rise, version 1.0. Entering a “new era” in China’s development truly means making a grand upgrade to China’s rise, which has already lasted for about 40 years. To my understanding, this upgrade has two layers of significance. Domestically, policies in the “new era” will continue to refine and renovate China’s development with its own characteristics. Meanwhile, in respect to China’s international involvements and its role in the changing world system, there should be several important changes or upgrades in China’s rise, version 2.0. For example, we may expect China’s development to be more focused on “community-building” processes. This will have far-reaching regional and global significance, both economically and politically. Hence, what most interests me with regards to this “new era” is the role China will be taking in the changing world system, and especially the approach through which the Chinese may strive to realize that role. In fact, China has been a beneficiary of the existing world economic system, and China’s great economic achievements could hardly be realized without its participation in globalization as initiated from the West. In a sense, China has been a “receiver” that now also aims to act as a “giver” or a “contributor,” to the global order. The world is facing various chronic problems and issues, and there has been a trend of “deglobalization” especially in the West. In the future, we may expect China to take a more active role in global governance by suggesting and providing more appropriate and applicable solutions. Overall, this signifies China’s new “self-perception” in the world system. Another key question is how China will ensure its further rise peacefully. As my previous piece suggests, a “rule-based coherence,” which may be understood as a new type of bond among countries, in a more practical sense, may shed some light. As China’s rise continues, China should and will make new rules, but definitely should not and will not do so in a unilateral, arbitrary, or exclusive way. I believe this caveat is a very necessary and important upgrade in China’s rise, version 2.0. The Internet clearly has changed China, and the CCP is actively seeking to change the Internet.